From Washington, D.C.: Take Baltimore/Washington Parkway (Route 295) North and exit on to MD Route 198 East toward Fort Meade. Travel almost 2 miles. 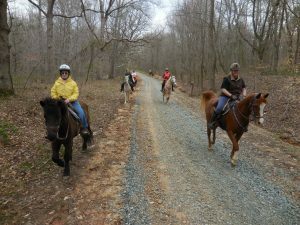 Then turn right on to Bald Eagle Drive (at the ball fields) and travel 1 mile to the North Tract Visitor Contact Station. From Baltimore: Take Baltimore/Washington Parkway (Route 295) South and take the MD Route 198 exit toward Fort Meade/Laurel. Then turn left on to Route 198 heading East and travel about 2 miles. 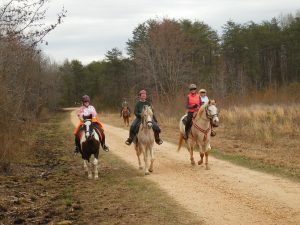 Then turn right onto Bald Eagle Drive (at the ball fields) and travel 1 mile to the North Tract Visitor Contact Station. From Annapolis: From MD Route 50 west of Annapolis, take Interstate Route 97 North. 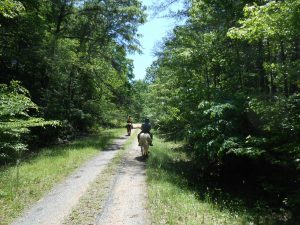 Then take MD Route 32 West (toward Columbia) for about 8 miles. Then take the MD Route 198 exit toward Laurel/Ft. Meade. Travel around the circle following the signs to Odenton/Laurel to MD Route 198 West. In less than 1 mile turn left on to Bald Eagle Drive (at the ball fields) and travel 1 mile to the North Tract Visitor Contact Station. 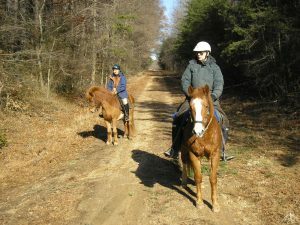 Trail Description: On North Tract, approximately 20 miles of roads and trails provide opportunities for hiking, bicycling, and horseback riding. A wetland and wildlife viewing area provides visitors the opportunity to see waterfowl, shorebirds, raptors and songbirds. Traveling off roads, off trails and in closed areas is prohibited. The refuge speed limit is 25 mph unless posted otherwise. There could still be un-exploded ordinance in the woods, do not go off the trails! Seasonal Restrictions: None! These trails were made for tanks, you can ride no matter how wet it is! Reviews and Tips: Wide roads, good footing. Excellent for green horses, or for wet conditions. Visitor Contact Center & Grounds Open Daily 8:00 A.M. – 4:00 P.M.